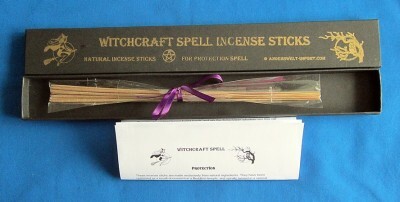 Witchcraft Spell Incense Sticks Money. Natural incense sticks, produced by a special Japanese method of helically wound in order to increase the burn time. Burning time about one hour. With magic instructions, knot ribbon and pentacle pendant from wood.